As I've said a number of times, one of my favorite moments as a wedding photographer of the wedding day are the first dances which include the mother/son dance and of course the father/daughter dance. While we may not get tears from the bride and groom, it's actually a rare occasion to not see tears from the dads during these dances. As a father of three daughters myself, I’m fairly certain I will ugly cry when this moment arrives for myself. I won’t be able to help it and I don’t know that I would if I could. It’s really a special moment because it’s at this moment when the dad knows that he is no long the most important man in his daughter’s world and it’s a hard title to give up. 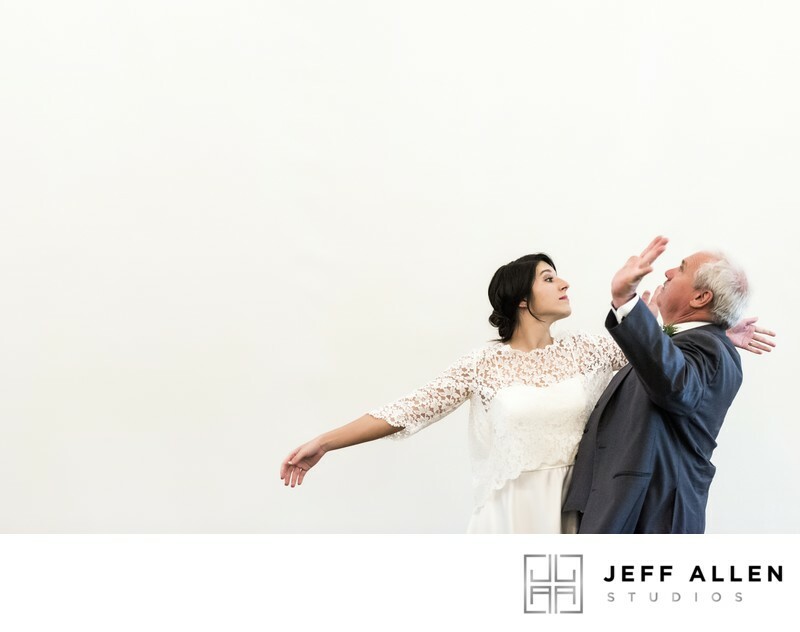 Besides the outpouring of emotion, it’s also very common for the daughter and the father to be a bit sillier during their dance. Maybe it’s a way to deal with the tension and to keep everyone from crying or maybe that’s just how they were when she was growing up. It can be anything from funny musical choices to over the top dance moves, but it’s never a boring time! While we are on the subject of the father and daughter dance, don’t forget to check our article that compiles lists from of the top wedding resources in the country to help you pick that perfect song for your special day. Location: 362 Interstate Dr, Mocksville, NC 27028. 1/320; f/2.8; ISO 6400; 70.0 mm.